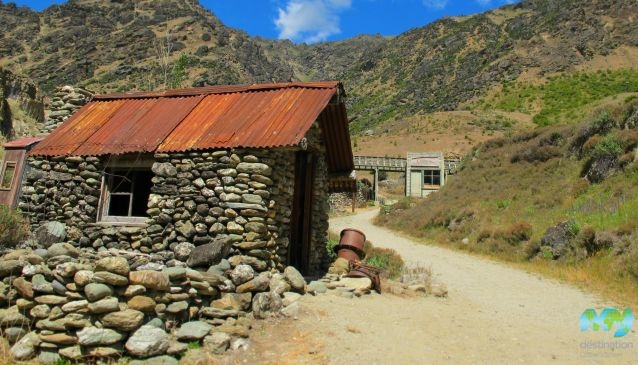 The Goldfields Mining Centre, on the route to Queenstown offers an insight into the life of the early gold miners in the Otago region, and their difficult working conditions. Located on the banks of the stunning Kawarau Gorge, the centre covers around 25 hectares, with many of the old mine shafts and mining equipment still visible. Visitors can opt for a guided tour with one of the centre's knowledgeable staff. The tour includes some of the early mines and tunnels, the site of the Chinese Village lived in by the Chinese miners who came to search for gold, and the site of the Goldfields Mine itself. A self-guided tour offers visitors the chance to explore at their own pace, with a map of the park. The highlight of the visit is the chance to pan for gold, which is still present at the site. A visitor centre offers home cooked snacks and lunch and a small gallery sells gold jewellery made by local artisans.